Dry, frizzled and rough hair calls for taking proper care; which includes oiling, shampooing and conditioning them until they are good to go. Using a good conditioner is a priority for people who have an uncontrollable frizz, unneeded texture and split ends. Conditioning is a process that helps keep your hair hydrated, making it smooth, soft and frizz-free. However, loading your tresses with chemical-laden conditioners can be unhealthy in the longer run. What if we tell you there are natural ingredients that act as amazing conditioners. 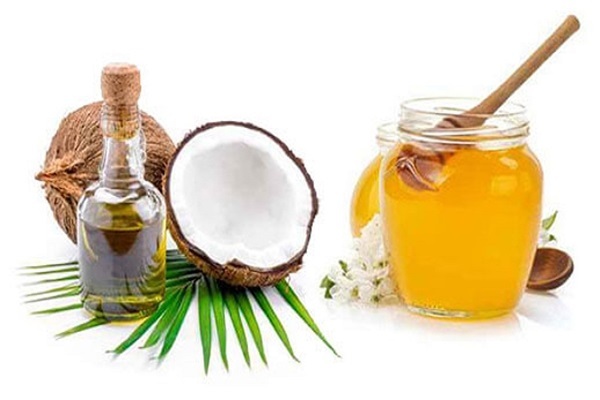 So, here we present you some of the amazing and easy to try homemade conditioners. Homemade conditioners are inexpensive & easy to make. You only need two ingredients, an empty bottle, and an adventurous heart. Ditch the products and go DIY! Here are few homemade conditioner benefits that you must check before getting motivated to try out the DIY recipes. By now you should know that deep conditioning is crucial and helps to prevent your hair from damage. Deep conditioning contributes to reducing breakage, split ends and also improves your hair’s health. Even if you think that your hair is not damaged, incorporating deep conditioning sessions in your regimen on a regular basis will help you stay on track and maintain healthy hair overall. Dry and brittle hair can snap and break with tension, and no one wants to hear the word breakage. In order to prevent breakage, you will need to nourish, strengthen and also keep your hair moisturized. Deep conditioning your hair allows you to improve the elasticity of your hair so that you prevent breakage. Let’s face it, coloring your hair can take a toll on your curls. The coloring is a chemical process that can sometimes alter your hair strand’s structure, which can sometimes weaken the hair and leave it open to dryness and breakage. You can help avoid damage by deep conditioning your hair on a regular basis. In a bowl, combine the olive oil and egg yolks until you get a smooth mixture. To this, add a little bit of water to make it easier to apply. Divide your hair into four sections and start applying the mixture to it. Optionally, you can work the mixture down from the mid-lengths of your hair or apply it to just the ends. Once your hair is fully covered in the egg-oil mixture, cover it with a shower cap. Leave the mask in for a couple of hours and then proceed to wash your hair. In a plastic bowl, mix the baking soda and hair conditioner until you get a well-combined mixture. Start applying this to your hair. Work it down from your roots to the tips of your hair. Once your hair is fully covered in the mixture, cover it with a plastic bag. Wrap a hot towel over the plastic bag and wait for an hour. Proceed to rinse your hair with cool water. This is another most amazing homemade conditioner for dry hair that you must definitely try on your dry hair. 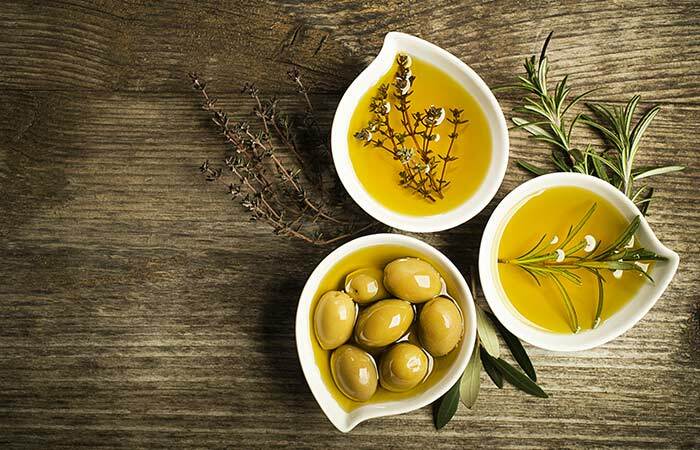 Stop searching for the best hair conditioner for dry hair in India and try these simple homemade conditioners for your dry hair problem. Place the natural yogurt in a small bowl. 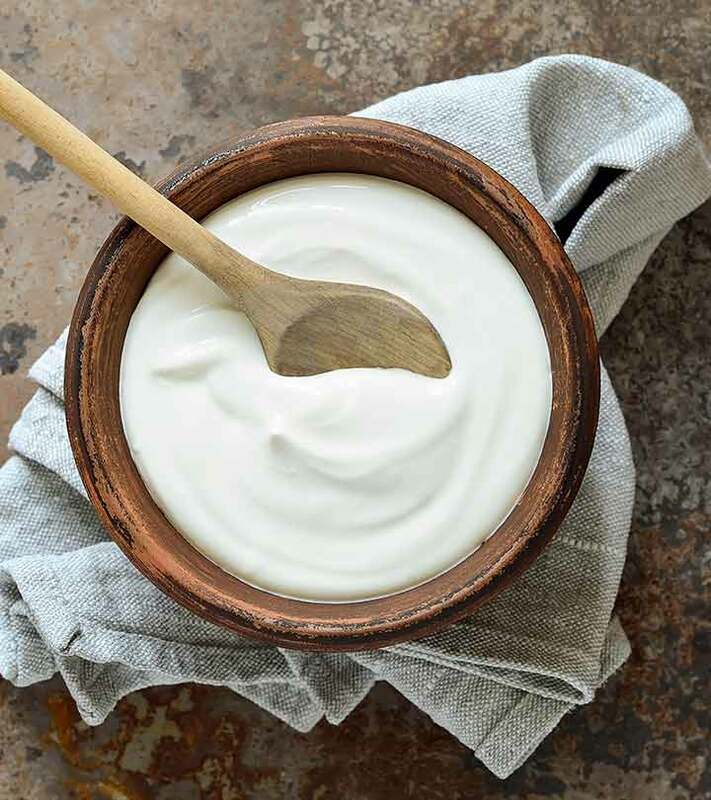 Yogurt is not only the creamy base of your natural conditioner, but it is also a gentle cleansing agent that will help to clear pores. Yogurt has natural anti-fungal and anti-bacterial properties that will gently wash away the dirt and grime that inhibits hair growth. Separate the egg white from the yolk and add the yolk to the yogurt. 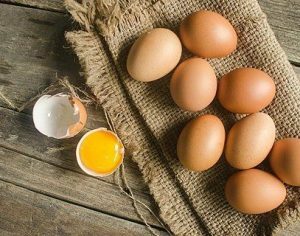 Egg yolk is a natural and deep-penetrating moisturizer that will not only make your hair silky smooth, but also help add elasticity and strength, so that as your hair grows it will break less. Add 1 tsp. of fresh lemon juice to the mixture. Lemon is a natural astringent that will help to remove shampoo and product build-up. Lemon, the same pH as your hair’s natural oil, can help protect and seal the hair’s cuticle, preventing split ends. Mix in 8 to 10 drops of eucalyptus oil and stir until creamy. Eucalyptus oil has a cool, refreshing effect on the skin and will help to stimulate blood circulation on the scalp, encouraging hair growth. Wet your hair thoroughly and apply the conditioner. Massage the conditioner into your scalp gently for at least five minutes. For deep penetrating conditioning, you can wrap your head in a towel and allow the treatment to set for 20 to 30 minutes. When ready, rinse your hair and towel dry. It’s chemical-free, inexpensive and fun, you’ll have long beautiful hair in no time. 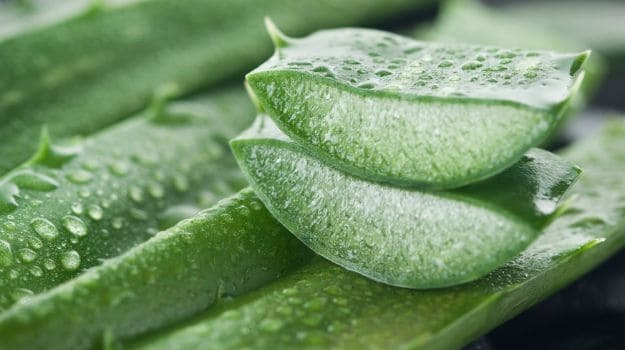 This is one of the best homemade conditioners for damaged hair that you must try. Boil the water with the guar gum while stirring with a whisk. Once the mixture has boiled for about a minute, remove it from the heat. To this mixture, add the carrier oil, apple cider vinegar, and then the rosemary essential oil. Optionally, you can use a different essential oil of your choice. Pour the mixture into a container for storing. The mixture will thicken as it cools. Proceed to wash your hair with cool water and a mild sulfate-free shampoo. Finish with using the guar gum mixture in place of your regular conditioner. Firstly take an avocado, peel and cut it into half (you can also use one full avocado depending on the length of your hair) and smash it until it becomes a paste. Then take half a banana and add about 2 tbsp of olive oil. Mix it well with the avocado paste. Then take an egg and mix with the banana and avocado mixture in a blender until it is soft. Whisk two-three eggs and add a tablespoon of vinegar and two teaspoons of lemon juice in it. Mix well. Add about one and a half teaspoon of olive oil and one tablespoon of honey. Mix it well in a blender and make a thick paste. Apply the paste on your hair tips and leave it for about 10-15 minutes before rinsing it off with water. So, do try these simple recipes and make any one of them you homemade hair conditioner after shampoo. 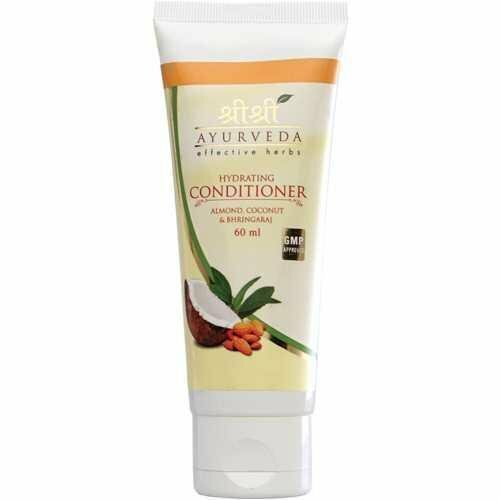 If you are a lazy kind of a person and are looking for the best hair conditioner suggestions, then here is the Sri Sri Ayurveda conditioner which is the best ayurvedic conditioner for dry hair that you should consider to use. Grandma’s Secrets for that Beautiful and Bouncy Hair!